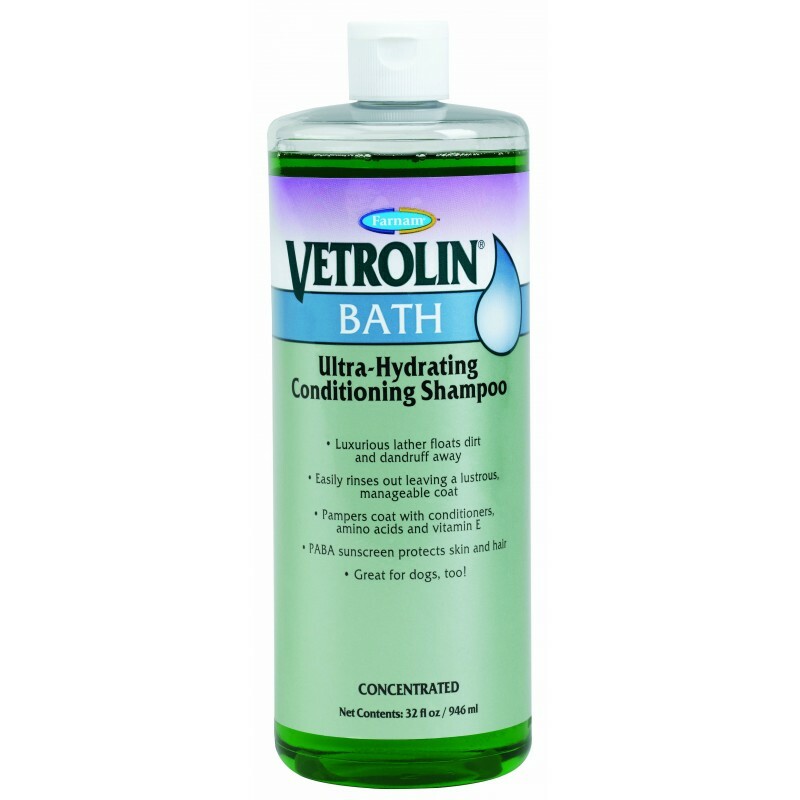 Protein-enriched conditioning shampoo washes away dirt and dandruff with a rich, thick lather. Protects skin and coat with conditioners, Vitamin E and PABA sunscreen. Rinses out quickly and easily and leaves coat shiny and manageable. Mix 60-120 ml. 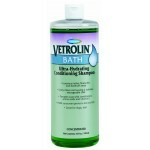 of Vetrolin Bath in a pail of water. Wet horse’s coat thoroughly and lather entire body. 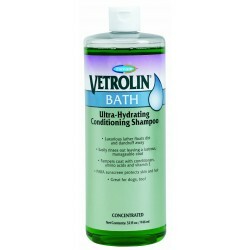 For superb sheen and manageability, follow with Vetrolin Shine.